Central Kerala includes districts of Ernakulam, Idukki, Thrissur, Palakkad and Malappuram. A convenient hub for travelers to the backwaters and hill stations, the district of Eranakulam encircles the port city of Cochin and the region around. 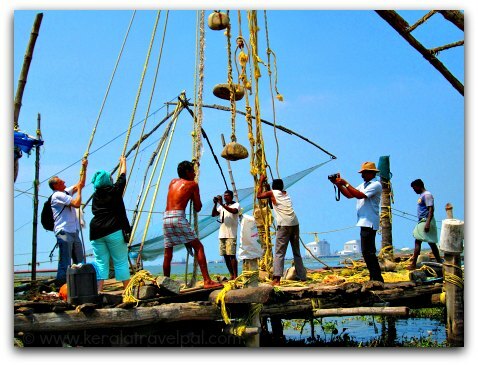 When it comes to tourism, Cochin has many advantages. The largest and busiest airport in Kerala is at Nedumbasseri near Cochin. It is the easiest choice to reach Kerala from overseas destinations as well as major Indian cities. A major rail terminal and several bus stations regularly service to South Indian Cities, Kerala Towns and important tourist spots. The backwaters of Alappuzha, Munnar Hill station, Athirapally falls are best reachable from Cochin. Before the days of haphazard development and chocked roads, Cochin was a quaint sea side town which earned the title “the Queen of the Arabian Sea”. Even today, inlets such as Fort Kochi touch hearts with an old world charm. A history of rubbing shoulders with European powers and a culture that nourished arts are manifested in local monuments, churches, museums and art centres. St Francis Church, Santa Cruz Basilica, the Jewish Synagogue, Bolgatty, Bastion Bungalow, Vasco House, the Dutch Palace, Hill Palace, Museum of Kerala History, Pallipuram Fort, Parikshit Thampuran Museum, Kottayil Kovilakam, Gallery of Contemporary Art and Chaithram Art Gallery - catching up with the heritage of Cochin can be time consuming. Then there are places such as Marine Drive, Mattancherry and Willingdon Island, included in the sightseeing list for good reasons. Vega Land is a star attraction for kids of entire central Kerala. It does not mean that the modern day amusement park is a no-no, if you are looking for some action packed fun. Reaching out of Cochin town, wider Eranakulam offers a pleasant mix of diverse sightseeing experiences. The backwater-beach belt of Cherai, backwaters, Chinese fishing nets, Kodanadu elephant training centre, Bhoothathankettu dam, Chendamangalam, Malayattoor, Iringole Forest Temple, Chottanikkara Temple, Kallil Temple, Thrikkakkara Temple, Kanjiramattom Mosque and Kalady are some of them. Idukki is a must visit district. Munnar is well known as one of the finest hill stations in India. Periyar Tiger reserve at Thekkady is also quite famous. Many of the less known attractions of Idukki are as beautiful as the well known ones. If you are a nature lover, keep aside a few days for Idukki alone. 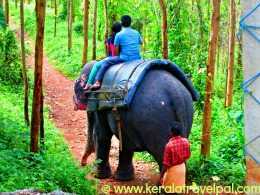 The major tourist attractions are Periyar Tiger Reserve, Kumali, Munnar, Devikulam, Peerumedu, Eravikulam National Park, Mattuppetty, Idukki Wildlife Sanctuary, the Arch dam, Anamudi, Chinnar Wild life Sanctuary, Eco Point, Top Station, Marayoor and Kanthalloor. There are enough waterfalls to make a list of their own. Did that tell you something about the richness of the forests and the rainfall as if hell unleashed? Cheeyappara, Valara, Thommakuthu, Lakkom, Keezharkuthu, Nyamakkad, Attukal, Chellarkovil and Rainbow waterfalls are some among many. Of course there is plenty more. Waterfalls, plantations, forests and spice gardens are just about everywhere. Thrissur is the cultural capital of Kerala, being a nerve centre for literary, cultural and artistic endeavours. It is also the land of the famous Thrissur Pooram festival and the Tiger Dance (Pulikali). Thrissur town runs around a large round, with a temple in the middle. Concealed within four huge gates, the temple of Vadakkunnathan is the marvel around which life in Thrissur is centred around. Sightseeing in Thrissur town may take you to two other prominent temples - Paramekkavu and Thiruvambadi. All these shrines are architecturally splendid. First and foremost, they are places of worship where strict codes are enforced. And the rule that tops the list is that non-Hindus are not permitted inside. If that dampened your enthusiasm, well, there are a few more places in town to make up for what is lost. They are art and archaeological museums, Thrissur zoo, Vilangankunnu and Shakthan Thampuran Palace. And why bother? There is much more to see out of town. Athirapally, the largest waterfall in Kerala is a must visit. If you are visiting Athirapally, there are a few things to know in advance. Keep aside sufficient time since Athirapally is the most visible of a string of scenic spots in the Sholayar basin. Vazhachal falls, just 5 kms away from Athirapally, is equally enchanting. One of the most visited places in Thrissur district is the temple town of Guruvayoor. Sree Krishna temple at Guruvayoor attracts devotees from all over India. Tourism is yet to catch up with devotion, and it will, as Guruvayoor is a star of its own shine. 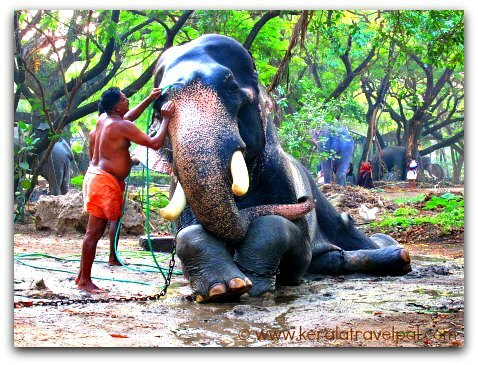 Just a couple of Kms from the temple is an elephant sanctuary, Guruvayoor Anakotta. Owned by Guruvayoor temple, Anakotta, at anytime has between 60 -90 elephants, all donated by devotees to Guruvayoorappan (Lord Krishna). Chettuva backwaters, Chavakkad beach and Palayoor church are visit worthy places within a 10 kms radius to the temple. Other main attractions in Thrissur district are Kerala Kalamandalam, Peechi Dam/ wildlife sanctuary and Chimmony wildlife sanctuary. Palakkad has plenty of potential. An agrarian district to the core, people are yet to wake up to what their backyard has to offer in these days of the new wave of tourism that is sweeping across Kerala. It takes millions of years to create a forest as intricate as Silent Valley. Unfortunately, Silent Valley is not even known to many, and visited by very few. True, the pristine surroundings have to be kept out of the inroads of mass tourism. What about opening to possibilities in entertainment and education, without jeopardising the jungle eco system? 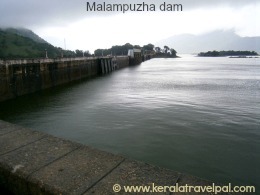 The most visited place is Malampuzha dam. The dam – garden is a popular picnic place for families in Palakkad and the nearby districts of Central Kerala. 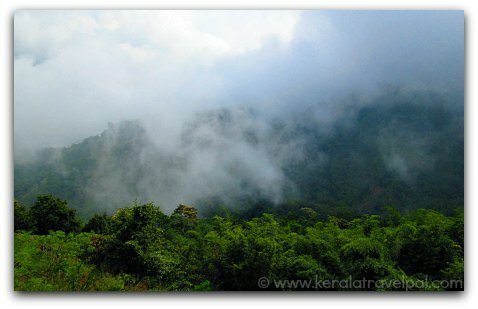 Parambikulam National Park and Nelliyampathy hill station are the other two well known tourist spots in Palakkad. 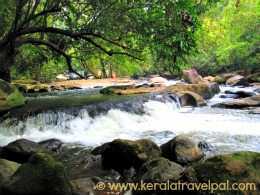 Places such as Siruvani dam, Attappadi, Dhoni waterfall and Meenvallam waterfall are familiar to travel folk of Kerala. If you intend to reach any remote destination, such as a Dam, Waterfall or National Park, always contact the tourism authorities in advance. During last visit, I went all the way to Meenvallam waterfall just to find the entry was closed because someone died there a week earlier. The policeman who guarded the entry could not do anything as there was a strict order not to let anyone in. Also places such as Silent Valley and Attappadi come in news as the hiding places of terrorists. So it makes sense to contact the officials in advance. 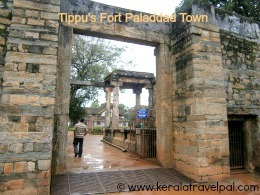 Palakkad district is the ideal place for a cultural tour. Many of the attractions are truly local, pleasing only those who have a heart for them. Some are villages, some are shrines and some came down the history lane with a small chunk of the past. Attappadi, Thiruvilwamala, Varikasseri mana, Kalpathy, Kollengode, Thrithala, Ramassery, Thiruvalathoor, Lakkidi, Meenkara, Siruvani, Mangalam Dam, Olappamanna Mana, Kachamkurichi Temple, Varahamoorthi Kshetram, Kalari Kovilakom, Chittur Gurumadam, Kanhirapuzha Dam, Dhoni waterfall, Pothundi dam, Cholanoor Peacock Sanctury, Chulliar dam, Seetharkundu waterfall, Mayilladumpara and Meenvallam waterfall. Kerala is the land of Ayurveda, and plenty of people visit the shores just for Ayurvedic treatments alone. And the best place for Ayurveda in the whole of Kerala is Kottakkal Arya Vaidya Sala, a pioneering enterprise with a tradition of a hundred years. Tradition of glimmering success is repeating itself, for the vibrant town of Kottakkal. The trend is your friend, and more so for Tip Top Furniture, who rose from an obscure operation to one of the best in the whole of India. Kottakkal is just one town, of many that scattered around in the district. Deduct the crowded towns and the new gulf expatriate mansions and the remainder is the ups and downs of green hills, curvy rivers twisting around coconut groves and lush paddy fields. The eastern part of the district, covered by forests and plantations, has carved a niche of teak tourism. I am talking about a town, Nilambur, where the talk of the town is teak. Teak plantations are all around. Connoly’s plot near Nilambur is the largest teak plantation in the world. To top it all up, there is a Teak Museum, a world’s first. 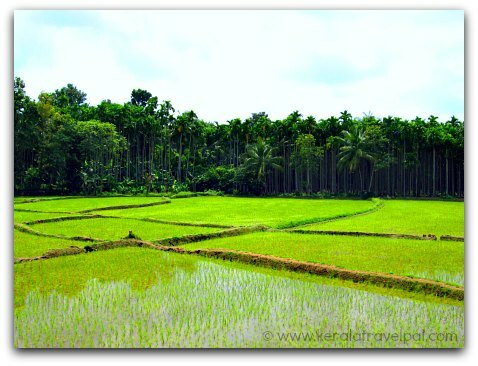 Nilambur is highly regarded for its scenic surroundings. Adyanpara waterfall, Kakadam poyil, Nedumkayam and Valamthode are unsung destinations of tremendous charm. What is left to explore in Malappuram include Vallikkunnu beach, Kadalundi Bird Sanctuary, Padinharekara beach, Biyyam backwaters and Kottakkunnu.